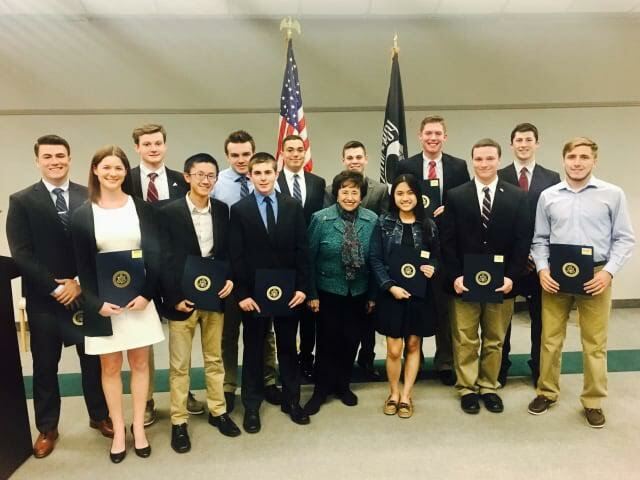 Congresswoman Nita Lowey (D-Harrison) honored the 12 Rockland students she nominated for admission to the nation’s service academies- U.S. Air Force Academy, U.S. Merchant Marine Academy, West Point and the U.S. Naval Academy. – Benjamin Lockey, a New City resident and senior at Clarkstown High School South, nominated to West Point. – Daniel Hernandez, a Spring Valley resident and student at US Military Academy Preparatory School, nominated to West Point.